Jesus never spoke on the issue of gay marriage. That’s what my LGBT friends report. If we’re looking for those specific words, then they are correct. But on the other hand, there are other issues, such as embezzlement, of which Jesus never talked about either. However we know His teaching on the specific because of what he said in the general about possessions. “Give to Caesar what belongs to Caesar and to God what belongs to God” and other references. In like manner we can see that Jesus covered not only the idea of gay marriage, but all marital issues when He took the religious debaters of His day all the way back to Genesis. What’s it like to grow up with a LGBT worldview? How do we reconcile the clear Biblical teachings on sexuality, personhood, and the real feelings of homosexuality? In a world of relativity how can we approach this present question with both grace and truth? Join us for the Discussions Sunday night as we welcome pastor and author Caleb Kaltenbach to the show. Christianity was the last thing on Caleb’s mind when he grew up in a LGBT household but that all changed when he met the authentic Jesus Christ in High School. If there is a way to approach this topic with truth and grace Caleb is the one to know. So set your schedule now and get your questions ready for our live webcast Sunday night at 8p Central. 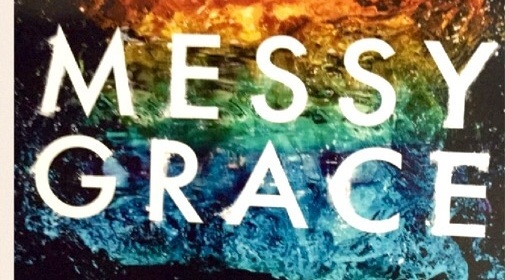 We will also be giving away a free copy of Caleb’s book, Messy Grace, to someone in the viewing audience. Catch us here or on the “Sunday Night Discussions” Google + page. 4 Responses to the Controversial Indiana Religious Freedom Bill.